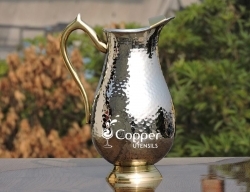 The jug comes with a sturdy brass handle for better grip. 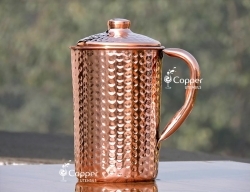 The interior of the jug is silver plated. 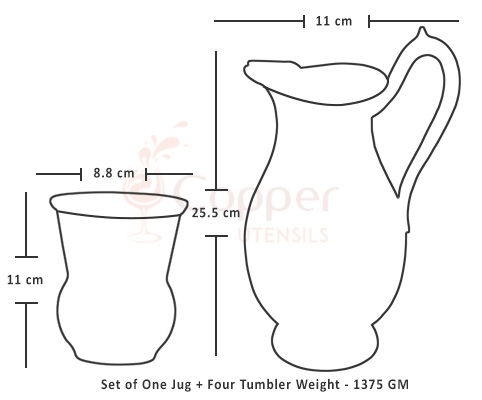 Four Mughlai style matching tumblers. 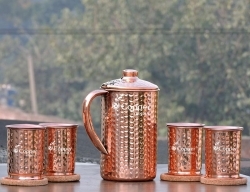 The perfect accessory to add a royal touch to your dining experience. 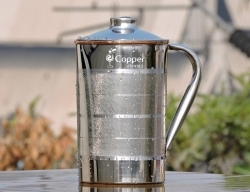 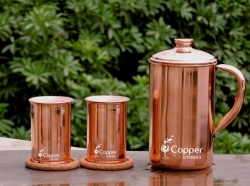 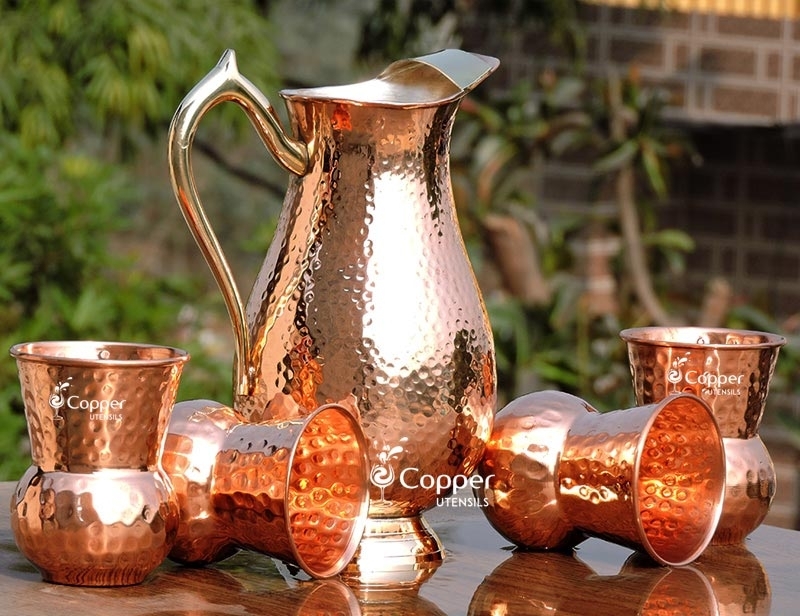 Copper is an essential nutrient required for the proper functioning of the human body. 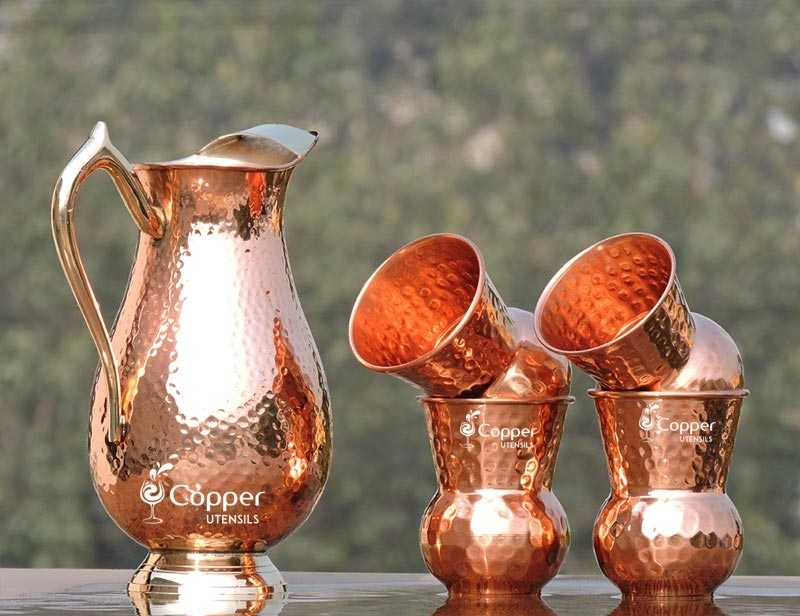 Unlike some other nutritional elements, copper too cannot be synthesized by the body and thus has to be obtained from dietary sources. 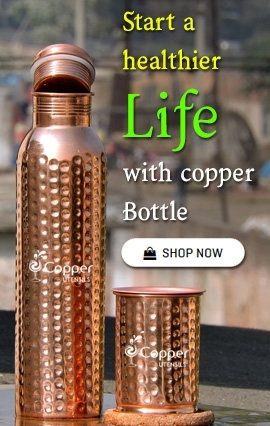 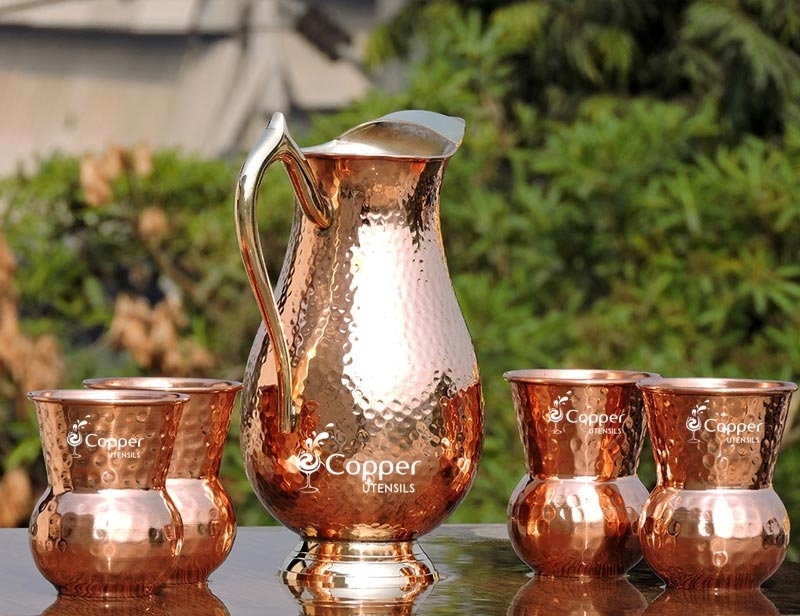 Apart from common dietary sources, copper charged water is a great way to fulfill your body copper requirement. 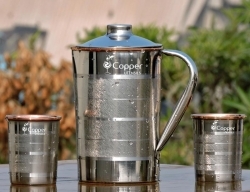 Fill the jug at night with fresh drinking water and keep it overnight. 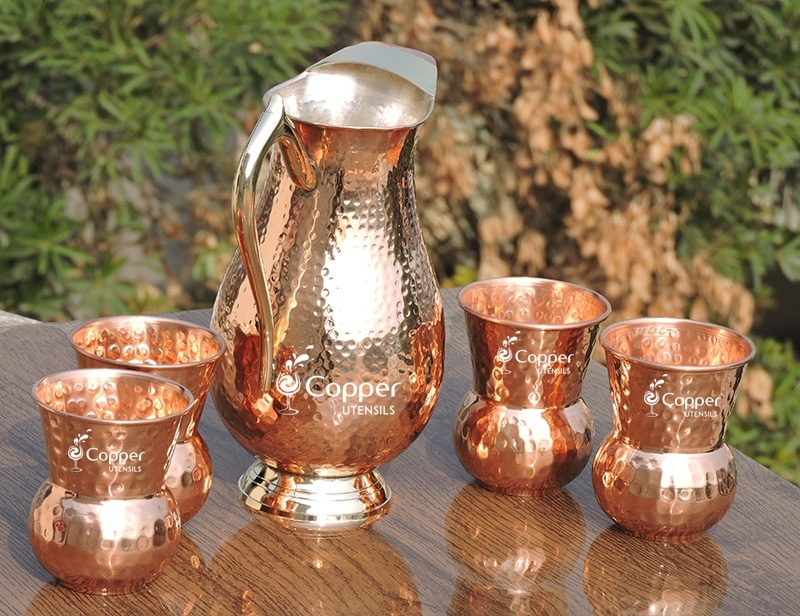 The next morning your copper treated water is ready to be consumed. 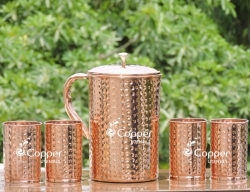 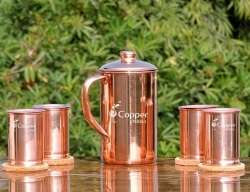 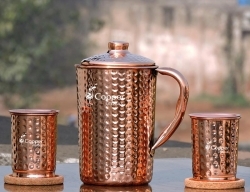 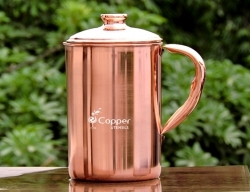 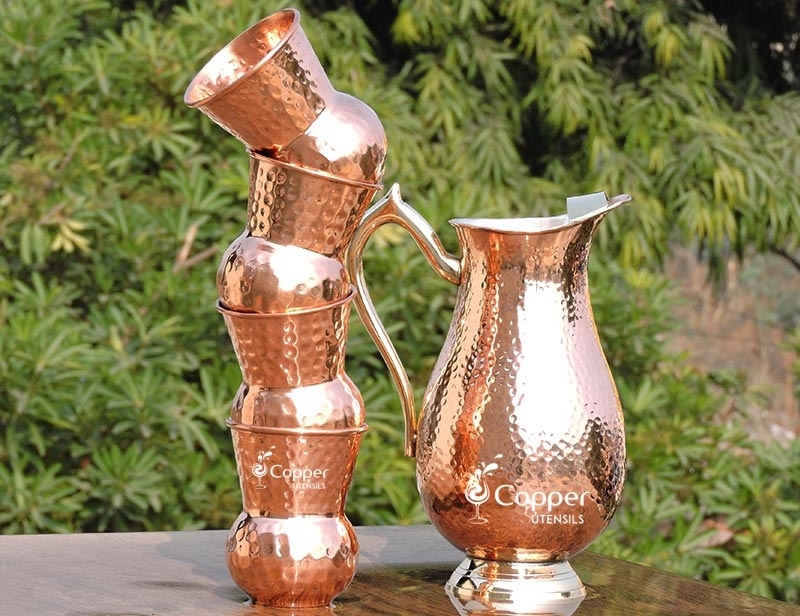 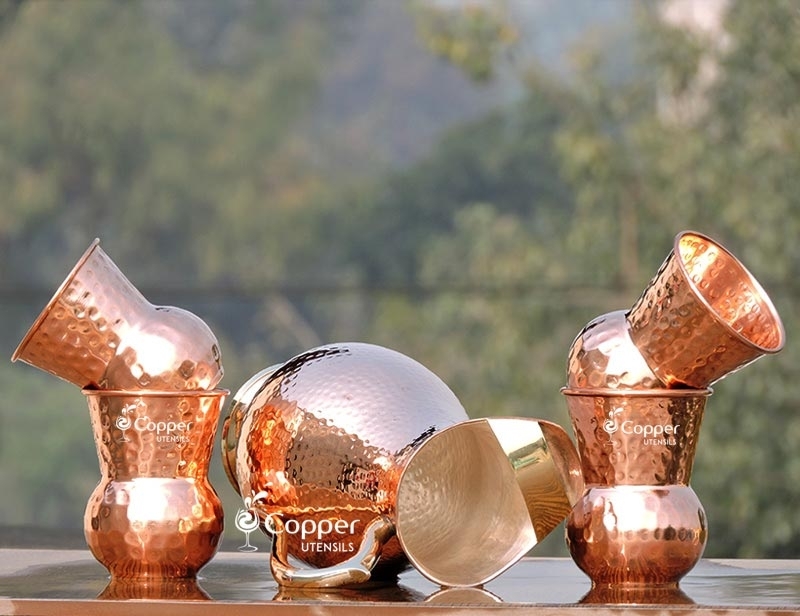 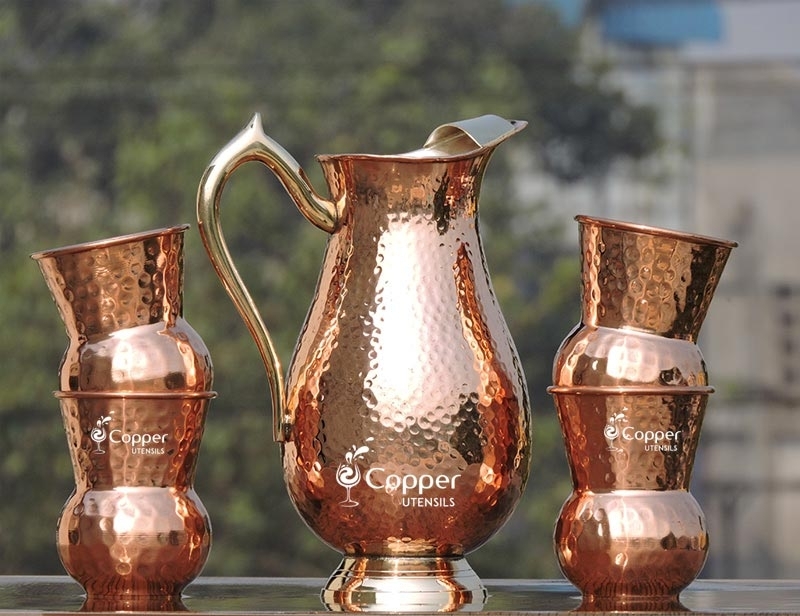 This is a beautiful copper pitcher with tumblers! 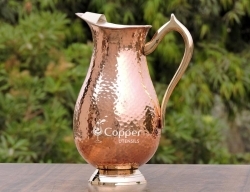 I was so pleasantly pleased with the amazing craftsmanship of this pitcher and the fast delivery.